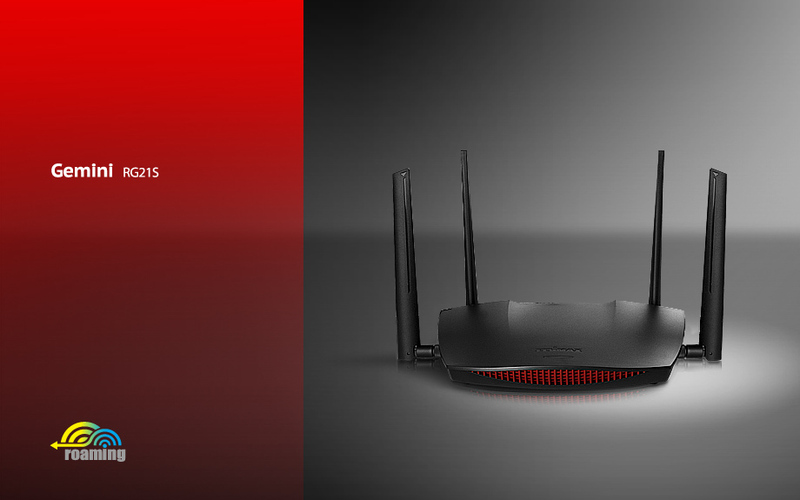 Faster AC2600 Wi-Fi with speeds of up to 800Mbps at 2.4GHz and 1733Mbps at 5GHz. 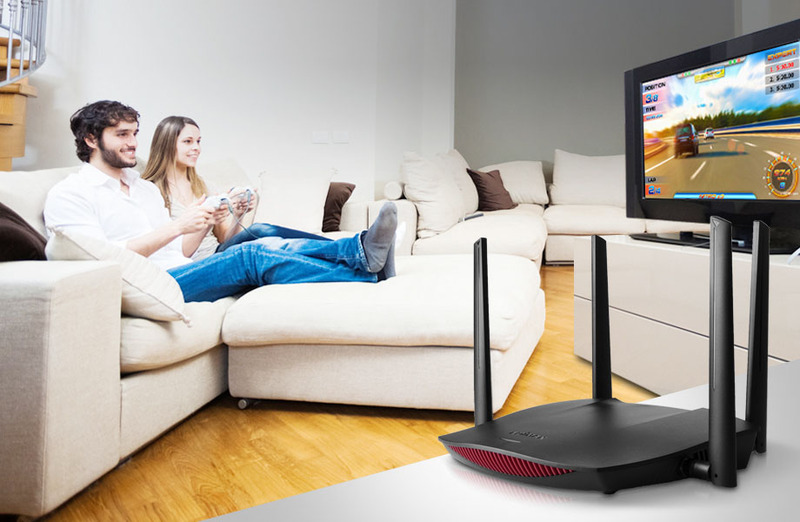 Upgrade your home Wi-Fi to super high-speed 802.11ac and enjoy faster video streaming, online gaming and data transfers. The latest 11ac Wave 2 MU-MIMO technology allows your Wi-Fi router to communicate with multiple devices simultaneously which dramatically improves your Wi-Fi experience. Learn more. Your Wi-Fi devices always stay connected to the best signal, for a seamless Wi-Fi experience*. Devices will automatically switch to the best signal as you move around your home. *Works with Edimax add-on Extenders RE11/RE11S/RE23S for smart Wi-Fi roaming. 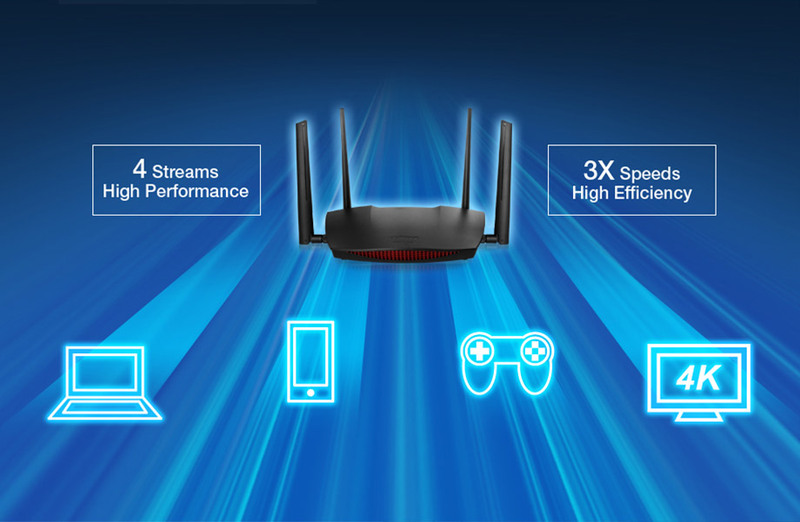 High performance Wi-Fi running four streams for the fastest 11ac Wave 2 speeds. High efficiency MU-MIMO (Multiple User - Multiple Input Multiple Output) technology serves multiple devices simultaneously instead of one at a time, for better performance and efficiency on networks with multiple devices. 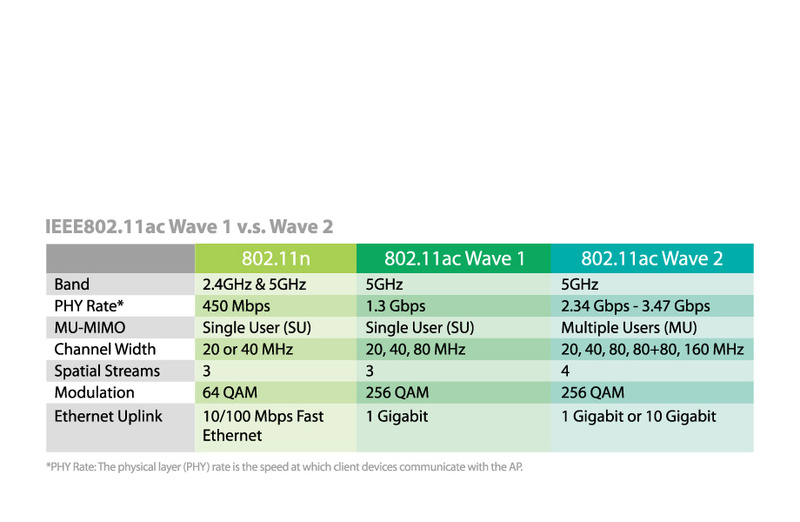 The latest 802.11ac revision “Wave 2” has expanded on the Wi-Fi gigabit speeds with more channel width (80 + 80MHz) and spatial streams (4 x 4 : 4) making it even faster and more capable of offering high performance connectivity. One of the key technology advancements – MU-MIMO (Multi-User MIMO) – improves data transmit times, helps Wi-Fi networks to scale, and increases capacity by allowing APs to utilize multiple streams that can reach multiple clients simultaneously. 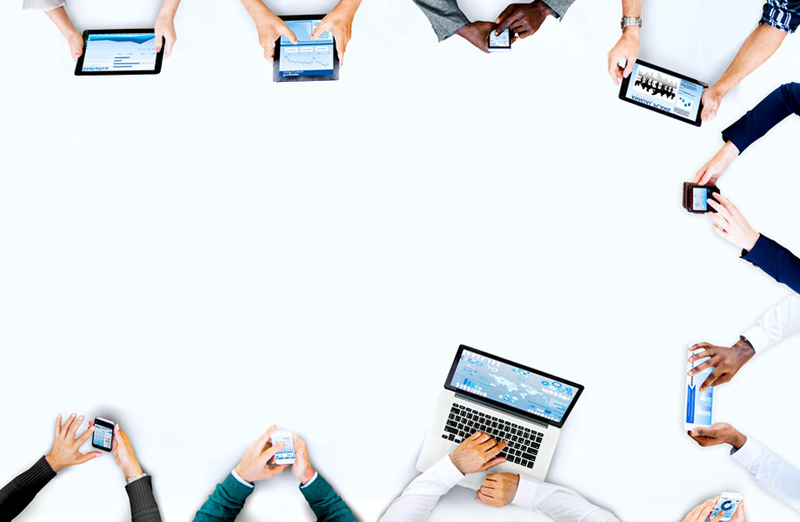 Each Wi-Fi client device is prioritized to connect to the best Wi-Fi connection to network efficiency and device density of APs for a better user experience. 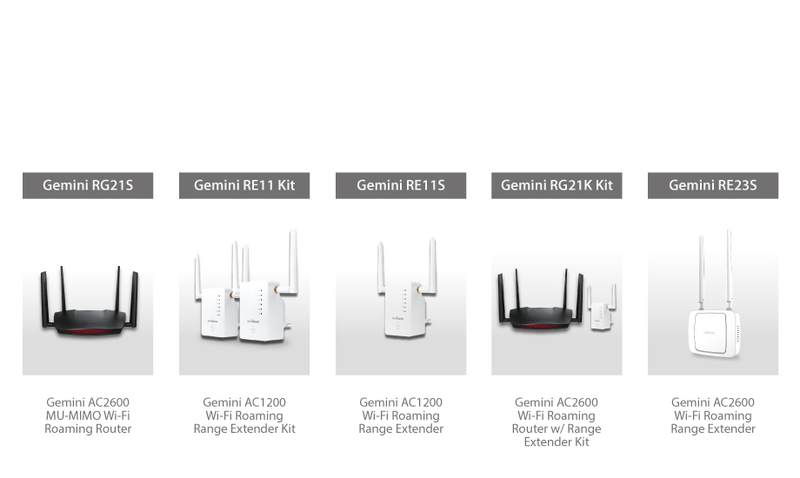 Traditional Wi-Fi is setup with a router and extender, and a separate network (SSID) for each. But as you move around your home – especially upstairs or downstairs – your Wi-Fi device will usually still remain connected to the original weaker Wi-Fi signal with lower performance. A Wi-Fi roaming network (with a single SSID) will automatically detect and switch your device to the best available Wi-Fi signal for a more natural, seamless experience and exceptional Wi-Fi wherever you roam.